Allen Head Driver Bit Kit – Rack-A-Tiers Mfg. 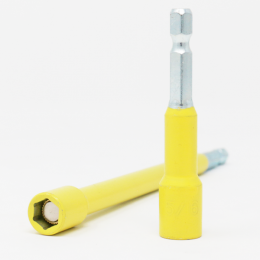 These high quality hex key allen bits are 6″ long for increased versatility. 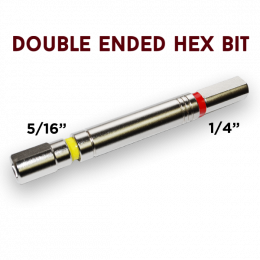 Also included in the kit is a 3/8″ socket adapter. The 1/4″ shank allows you to use any standard drill or quick change chuck.